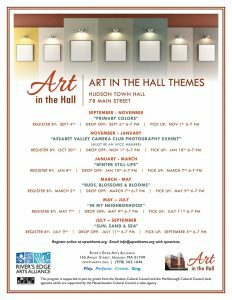 Art in the Hall has been showcasing the work of local artists in the beautifully restored Hudson Town Hall since 2004. 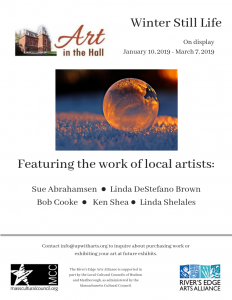 In collaboration with the Town of Hudson, the River’s Edge Arts Alliance curates several exhibits throughout the year featuring works by visual artists working in all mediums. 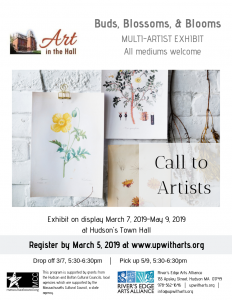 Registration is now open for our “Buds, Blossoms, and Blooms” Art in the Hall exhibit. Sign up by March 5 to show your work! 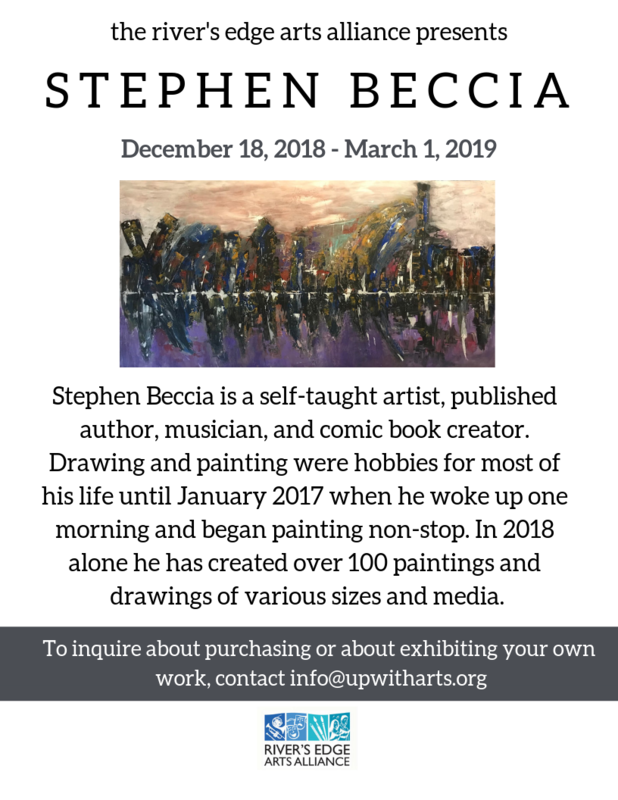 For information about purchasing artwork or to inquire about future exhibit opportunities, contact us at info@upwitharts.org.